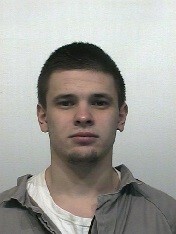 TUMWATER – At approximately 10:30 a.m. on Saturday, January 6, 2018, Maksim Petrovskiy, 22, was safely apprehended without incident after being located near Grants Pass, Ore. in Josephine County, Ore. Petrovskiy was booked into the Josephine County jail. Petrovskiy escaped from the Goldendale Department of Natural Resources fire crew at approximately 2:35 a.m. on Tuesday, August 15, 2017. He had previously been convicted of taking a motor vehicle without permission and possession of a stolen vehicle out of Snohomish County and began serving his 33 month sentence on April 18, 2017. His expected release date had been tentatively set for December 8, 2018. The Washington State Department of Corrections (DOC) worked in close partnership with other law enforcement agencies, including local law enforcement, the Oregon State Police, and the U.S. Marshal Service and greatly values and thanks its law enforcement partners. The Department also thanks the many individuals who provided tips to the phone lines.